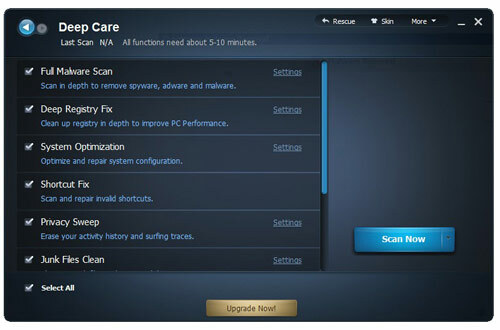 Advanced SystemCare 4 is one of the best free softwares with more than 100 million downloads so far. 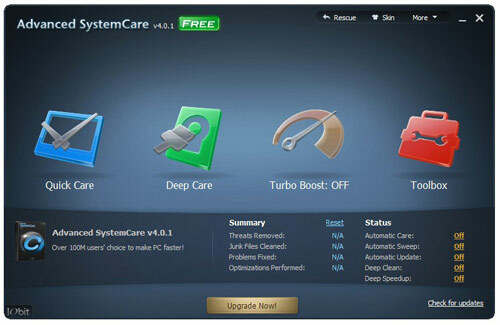 You can download a free version of Advanced SystemCare 4 here. Similar to other softwares, the setup process is rather easy and fast. In addition to this software, the IObit company also offers other free softwares that you may need when you setup the program. 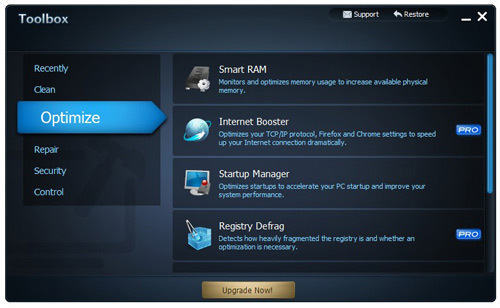 The first impression of Advanced SystemCare 4 is its completely new interface. This new interfaces is good designed. You can access functions quickly, especially 2 main functions: Quick Care and Deep Care. The scanning speed is different with each option. 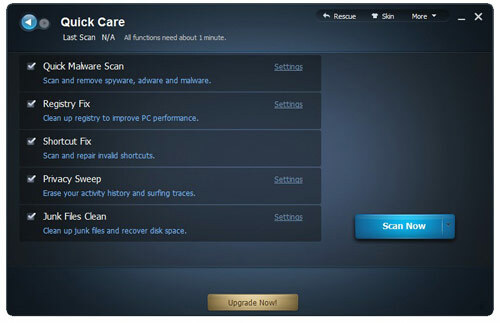 For each option, Quick Care or Deep Care, you can change the setting details, such as malware detection, shortcut, etc. The last function group is Toolbox. 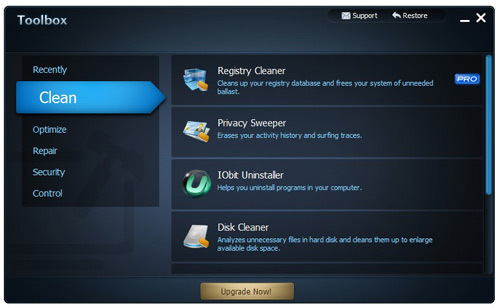 With Toolbox, you can modify cleaning and maintenance options. Since there are many options, you may be confused at the first time. There are 5 sub-groups: Clean, Optimize, Repair, Security, and Control. 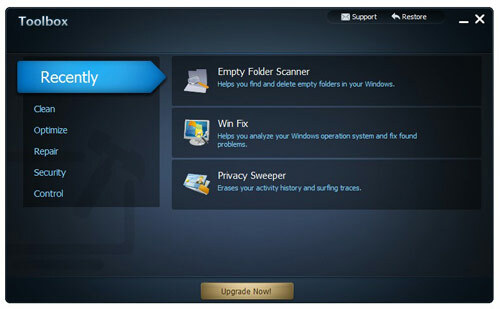 Note that you cannot use some advanced settings, such as Privacy Sweeper of sub-group Clean, in the free version. In the case you cannot make a decision, you can click on Analyze button to let the software analyze and provide solutions automatically. With sub-group Optimize, the most important feature is Smart Defrag. This is the awesome feature provided from IObit. 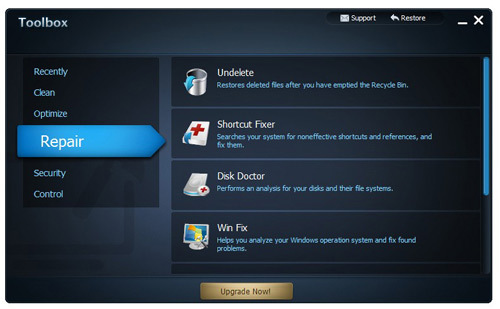 It is considered as the most efficient and fastest disk defragment software. However, the registry arrangement function is not free. The Repair provides some tools for you to repair Windows. This feature is easy to use. 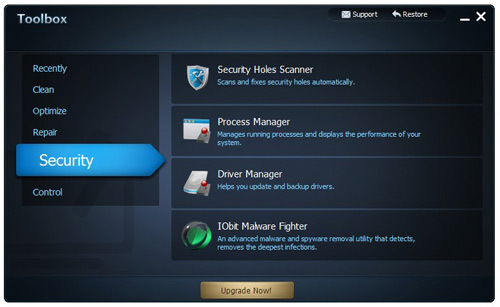 Security of Advanced SystemCare 4 is not as good as other available softwares. However, you can use this feature together with other security softwares. The Control gives you some tools to control your data, such as delete duplicate files, empty folders, etc. In summary, Advanced SystemCare 4 is a good free software. 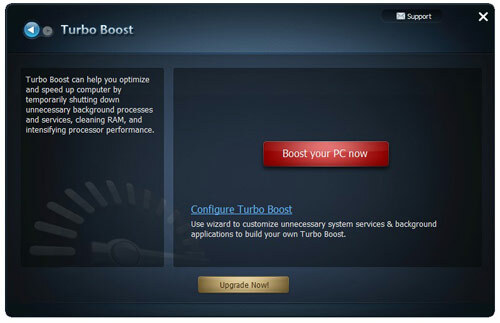 You may always need this software to improve the performance of your computers.